Like with the Chromecast and Cast-ready devices, Google has created a dedicated page to showcase the promotions available to those willing to use Android Pay. On this particular website, you’ll find latest offers that can land you discounts on products and services. As of today, Google is currently featuring offers through DoorDash ($5 off orders), Yelp Eat 24 ($5 off orders), Instacart ($10 off orders), Uber ($10 off next rides), 1-800-Contacts ($20 off first order), and 1-800-Flowers ($20 off order). 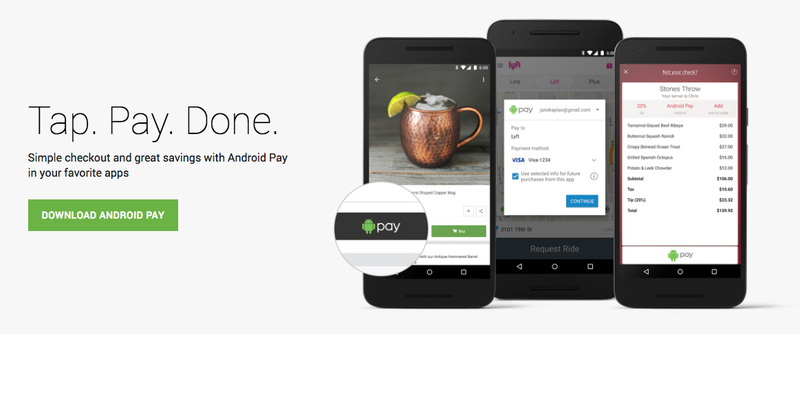 The only requirement, as you probably guessed, is that you pay with Android Pay in these apps. Google will likely update this page regularly with new offers, so you will want to bookmark it. I say bookmark it because I’m not currently seeing a way to access promotions through the Android Pay app. Here is a link to the Android Pay promotions page.